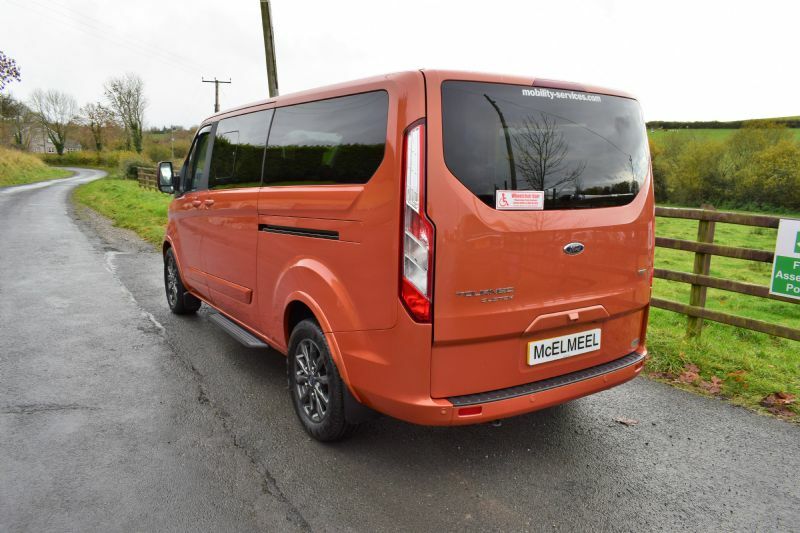 The Ford Tourneo Custom Fortitude 310 L2 Titanium X 2.0 TDCi 130PS Automatic Diesel has been converted by McElmeel Mobility Services to make it fully wheelchair accessible. 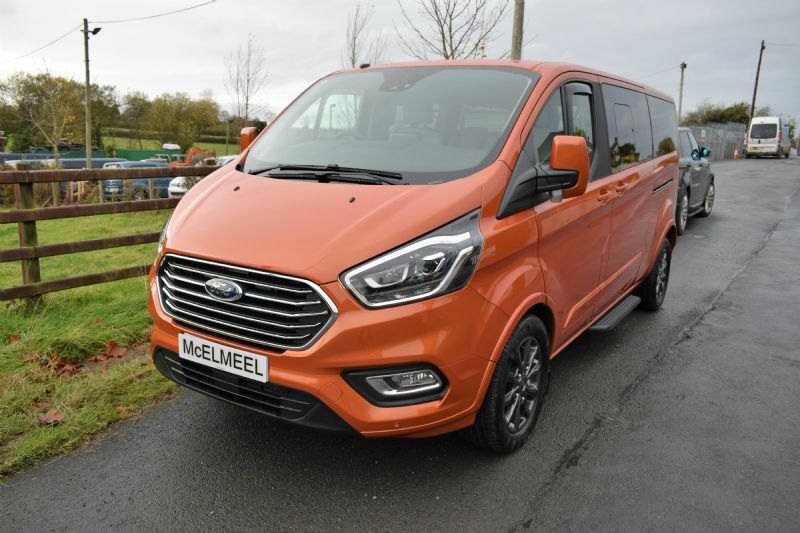 The Ford Custom Fortitude with 17" 10 spoke Alloy Wheels is A highly spec car with SYNC 3 system includes Emergency Assistance, radio with DAB, Bluetooth, Voice Control, AppLink, audible text messaging and privacy mode, 8" touchscreen display, integrated control panel, USB connectivity port with Ipod functionality. 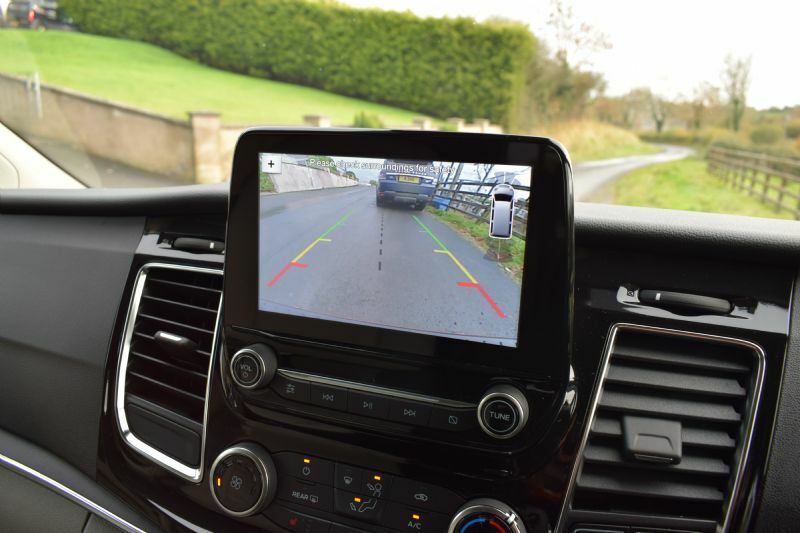 Rear view camera, front and rear park assist and the option of light (as shown in image) or dark palazzo leather seats as standard. 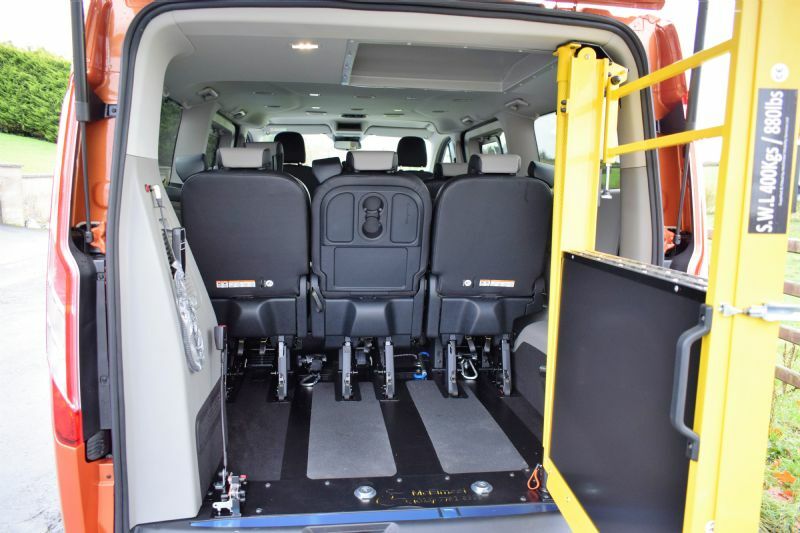 Offering class leading leg room and comfortable seating throughout the vehicle. 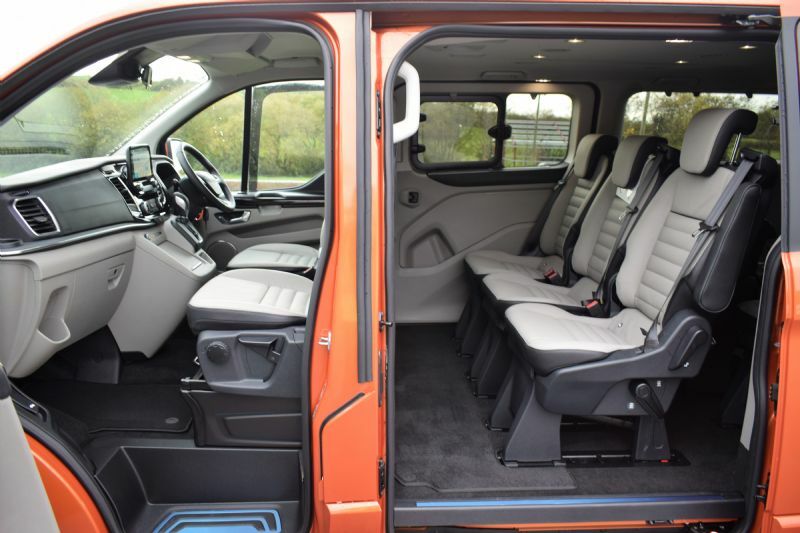 With split fully tipping seats for easy access out of both doors and seat belts housed within each rear seat. A gate ramp is installed at the rear. 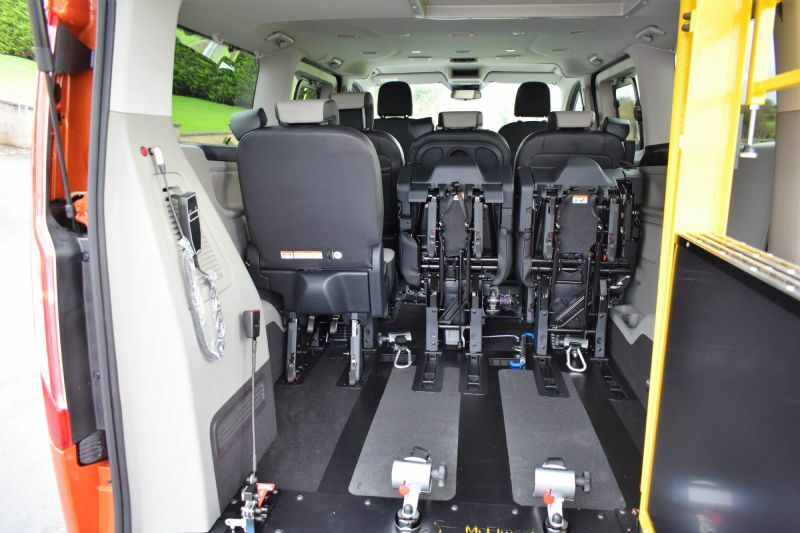 2 rear seats can be tipped up to accommodate the wheelchair user. 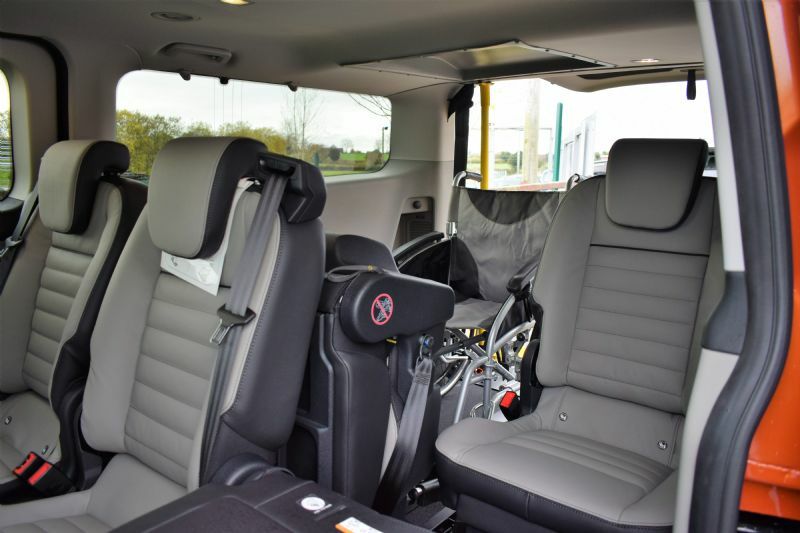 This allows the vehicle to be used as a 8 seat vehicle and give unrestricted access to the boot area. The height of the rear door is 130cm. 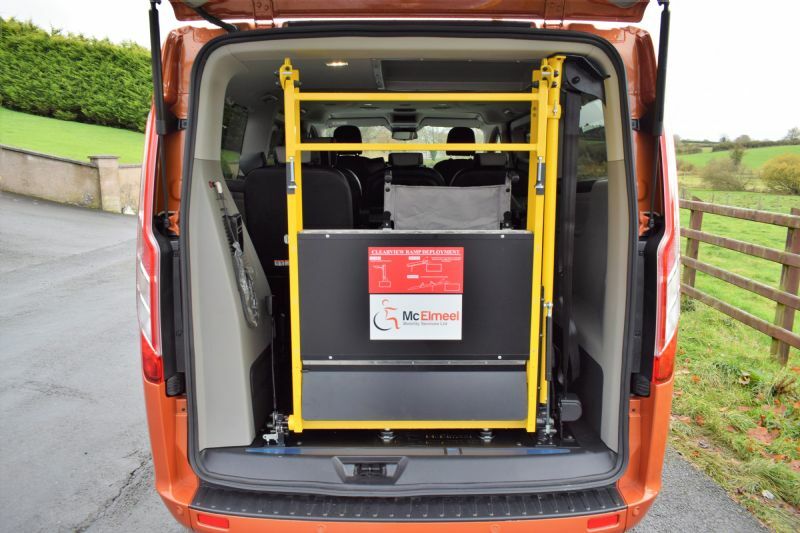 The wheelchair space is 80cm wide by 120cm long. 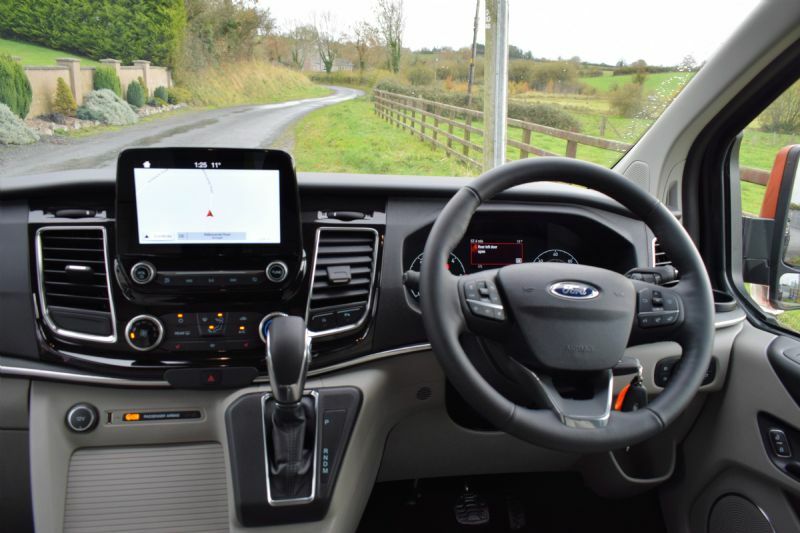 With optional extras such as head height extender or adaptive cruise control. Due to it's unique conversion this vehicle is also tow bar compatible. 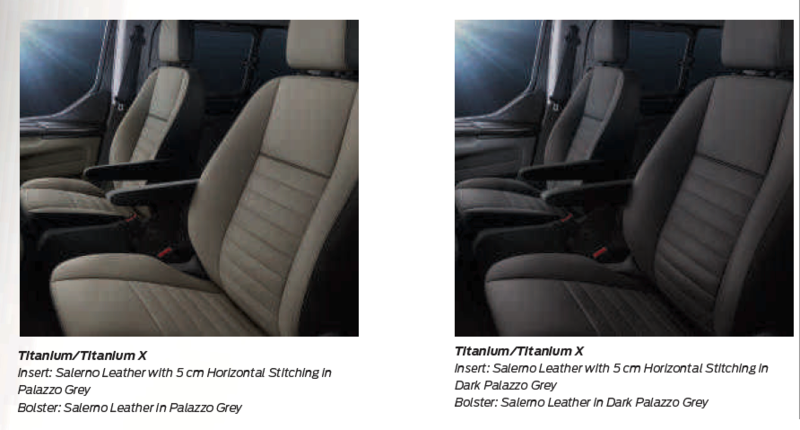 Available from £33,475.00. 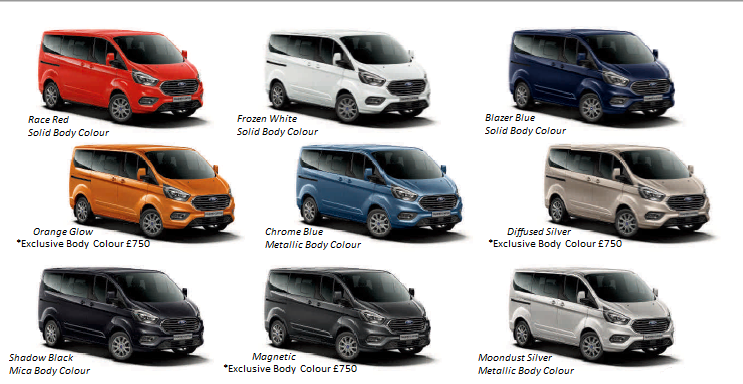 Price includes delivery and first registration. VAT not included in price. VAT is 20%. Wheelchair users are VAT exempt. 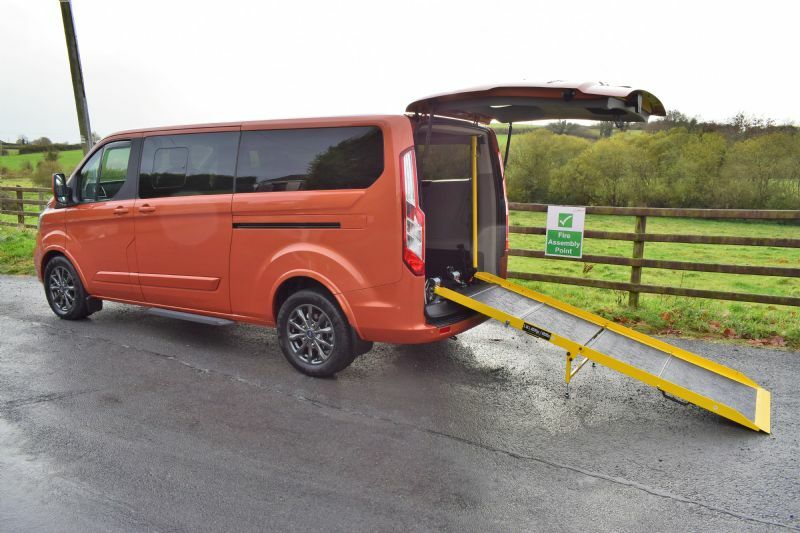 This LWB Custom vehicle is available to purchase privately or through the Motability Scheme for customers receiving the Higher Rate Mobility component of DLA or PIP. 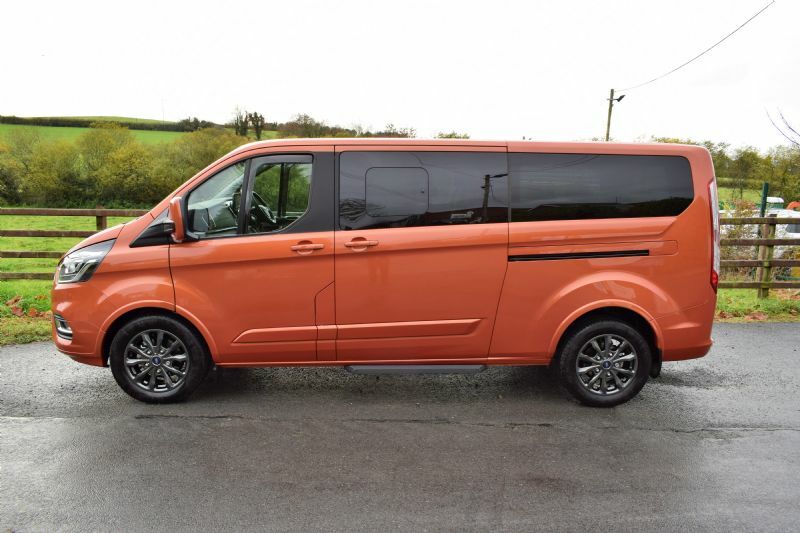 *image shown is exclusive colour orange glow with dark tarnish alloy wheels which are both an additional cost.